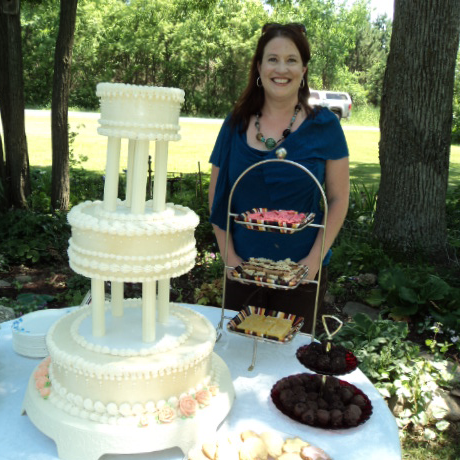 Since 1992, in the back of our neighborhood Dairy Queen, Chef Elizabeth has been using her artistic skills to create decorated desserts specific to customers' requests. We continue to provide edible, unique creations made to order, from the finest ingredients possible. If it can be imagined, we can create it. We bake each item to order, nothing frozen here. Please allow at least 24 hours for each order as perfection takes time! We deliver to your location in the Rochester (Minnesota) area. And soon Flour Child Creations delivery will be available in our '58 VW bus!